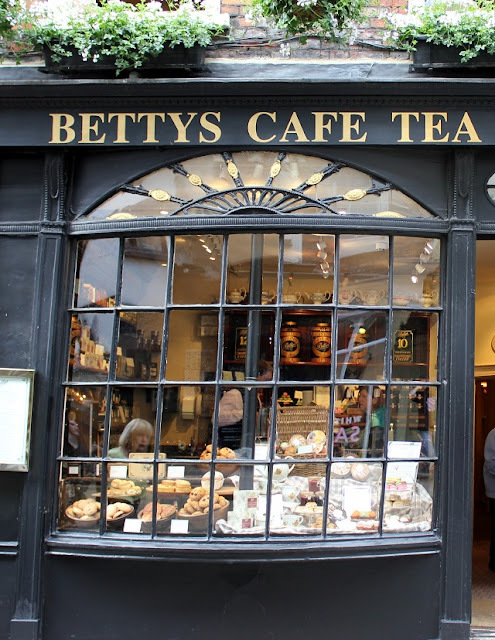 I've been busy blogging about so many other interests and activities that I haven't finished my story about my trip to England and Scotland. Whitby, England was the post about 199 steps and Dracula Here. 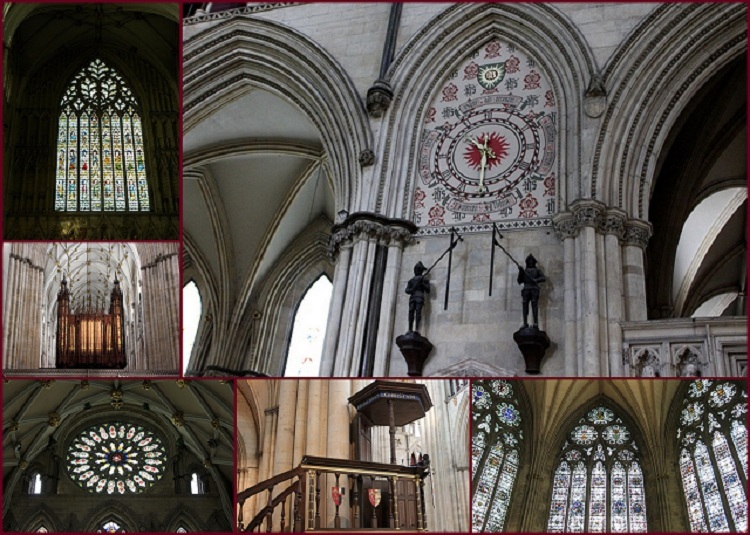 Monday at 9:30 in the morning we toured York Minster. As we walked alone the pathway over the street. 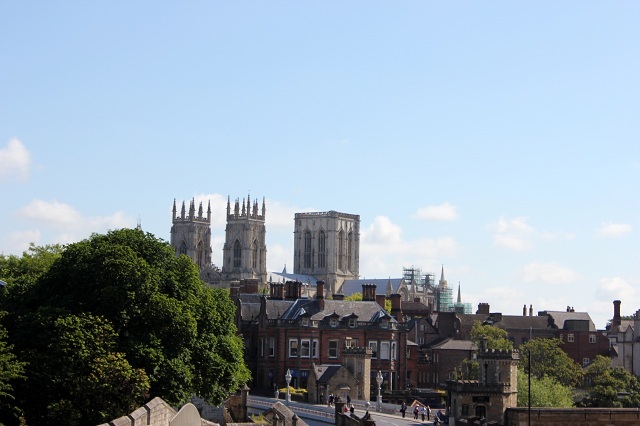 We had a beautiful view of the Minster's main tower and the scaffolding is coming down in 2014. 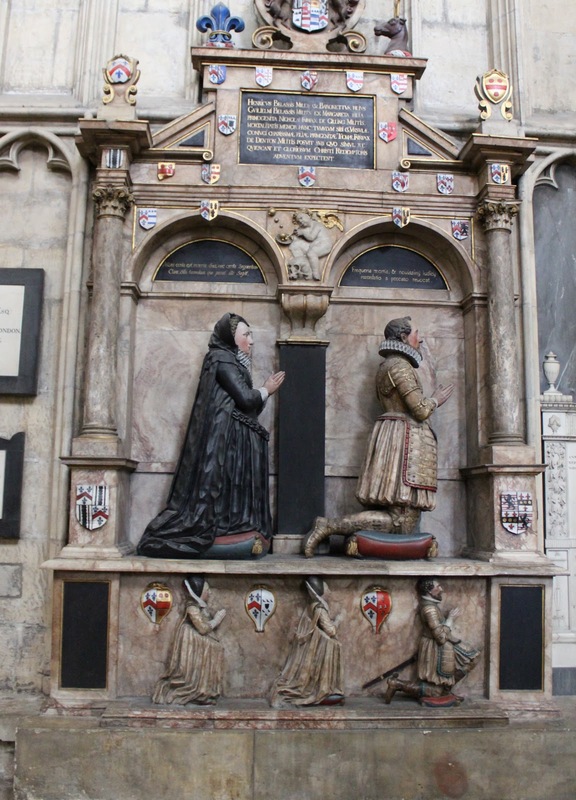 The pride of York, is this Gothic church. 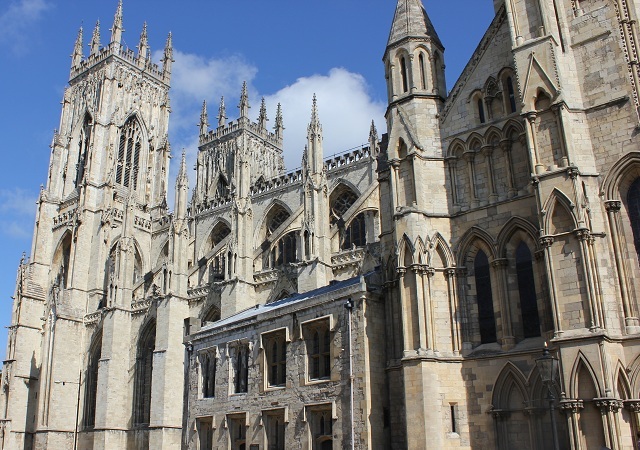 The word "minster" comes from the Old English for "monastery," but is now simply used to imply that it's an important church. 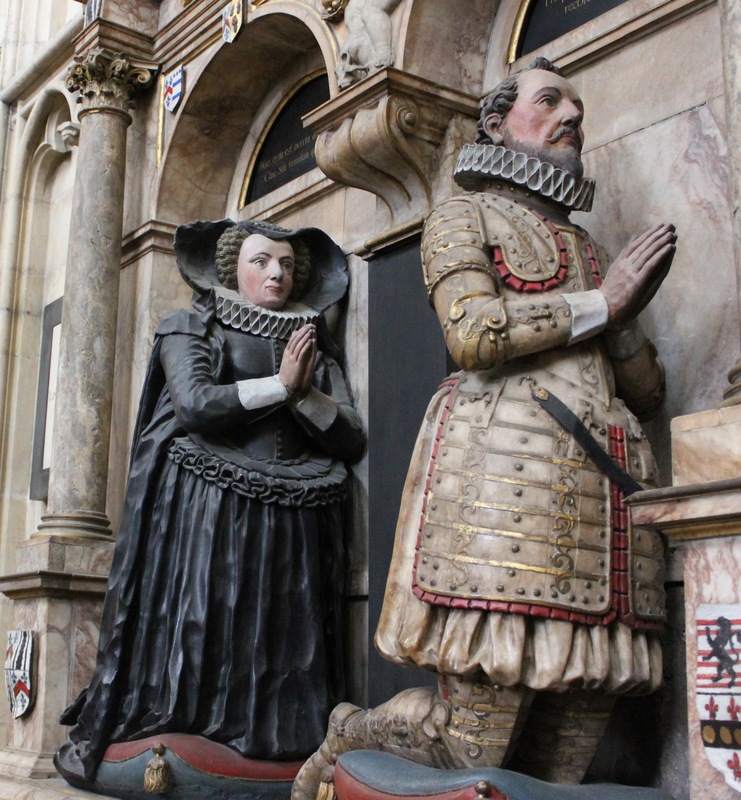 As it's the seat of a bishop, York Minster is also a cathedral. While Henry VIII destroyed England's great abbeys, this was not part of a monastery and was therefore left standing. It seats 2,000 comfortably; on Christmas and Easter, at least 4,000 worshippers pack the place. Today more than 250 employees and 500 volunteers work to preserve its heritage and welcome 1.3 million vistors each year. 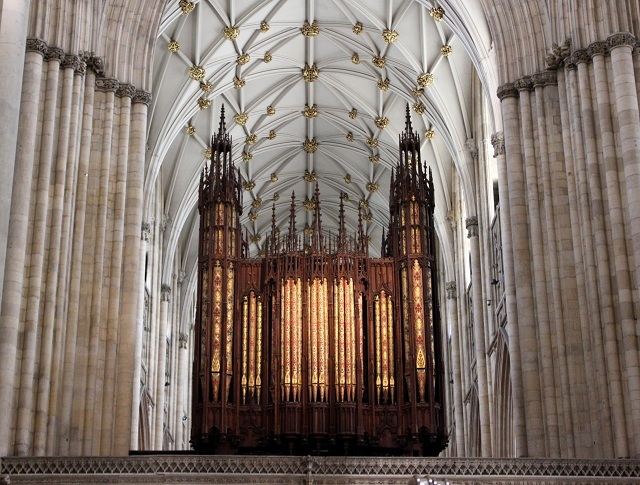 York Minster-Quire and High Altar. View of the Great East Window from the Quire. 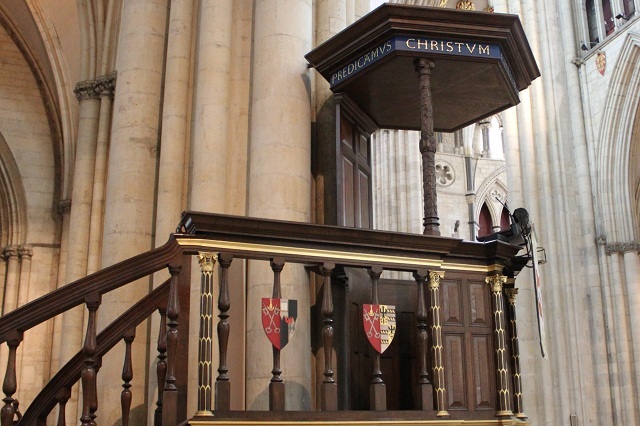 The Quire was built in the late 14th century in the Perpendicular style but the wooden choir stalls are not the originals. 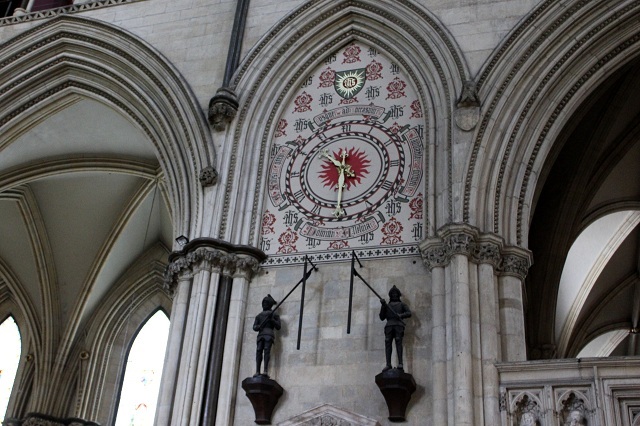 A 400-year-old mechanical clock on the east side of the north transept features two figures of knights who strike the quarter hours by striking each other. 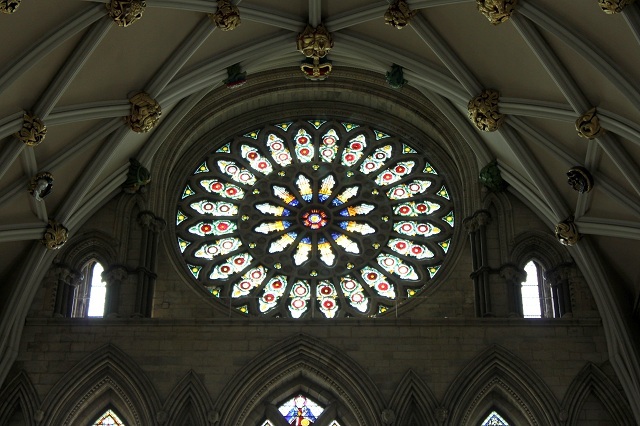 The windows cover almost all of the upper wall space, filling the chapter house with light. 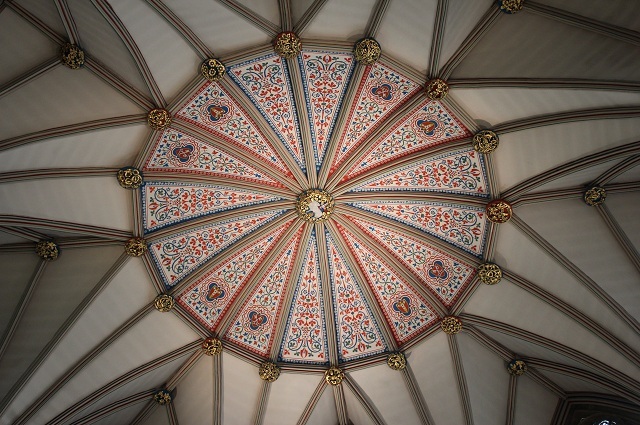 The chapter house is octagonal, as is the case in many cathedrals, but is notable in that it has no central column supporting the roof. The Gallows Sign which is attached to, and advertises, the Olde Starre Inn. 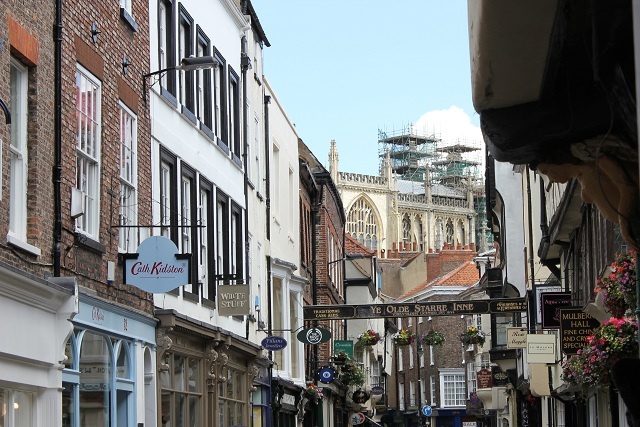 The Star claims to be the oldest in York, dating back to the time of Henry the VIII. As we visited Barley Hall is to step back to 500 years ago, and experience daily life as it was. It's a beautifully restored 15th century timber-framed hall and a 14th century Monastic Hospice ( not a hospice as we know it, but a hotel for visiting dignitaries). While visiting Barley Hall an exciting new exhibition "From Hamlet to Hollywood" fashion from film. We explored the fascinating changes in fashion from Tudor times to the early 20th century through this unique display of costumes worn by some of the best loved stars of stage and screen. Featured costumes worn by Cate Blanchett, Colin Firth, Helena Bonham-Carter, Daniel Radcliffe, Elizabeth Taylor and Heath Ledger. The King's Speech, Sense and Sensibility and The Duchess. Oh my goodness! I could go on about the wonderful sights I saw for days. But, it's time to get along to the final days and the last post about my wonderful trip to England and Scotland. Labels: England, Oh the PLACES I've been! These are wonderful photos of York Minster and surrounding sights! I went to England 12 years ago with my husband, but we were staying about an hour outside of London. I'd love to go back and visit Yorkshire and some of the other areas we missed. I'm a big James Herriott fan; I've read all his books. It looks like you had a great trip. Thanks for sharing and Happy Seasonal Sunday! 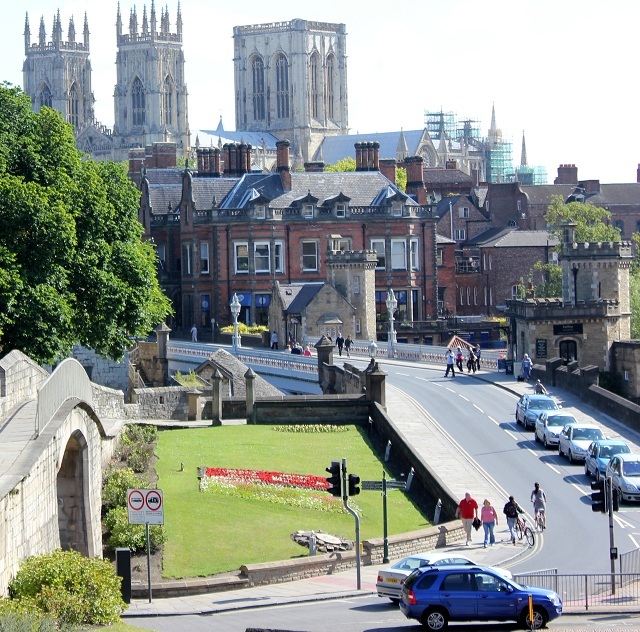 It looks like you saw the best of York. The cathedral there is as striking as any. What a beautiful cathedral. We build nothing like those graceful, ornate buildings these days. 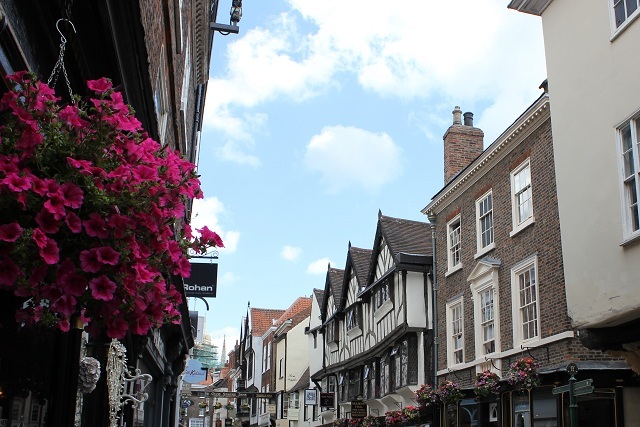 I enjoyed your photos of York very much. I love England and it's beautiful architecture and history. Beautiful!